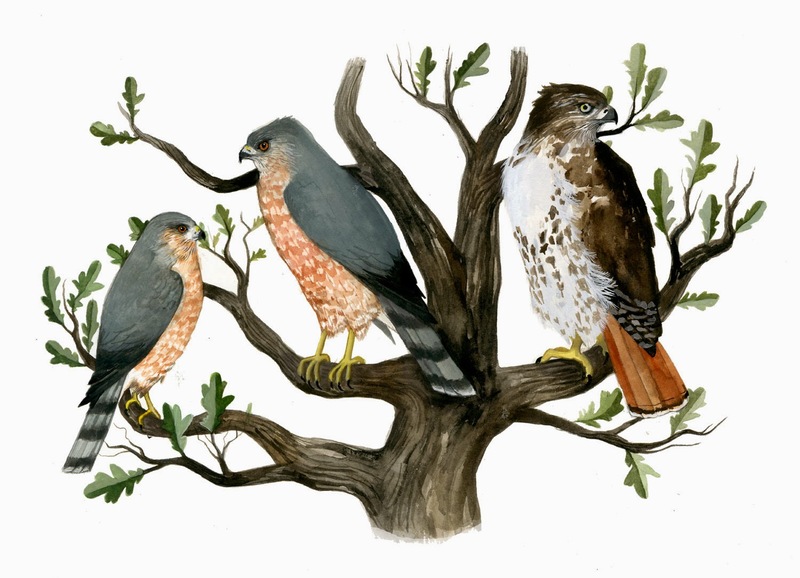 I've just had it confirmed by a real live professional ornithologist, so we agree: it's a stupid name. 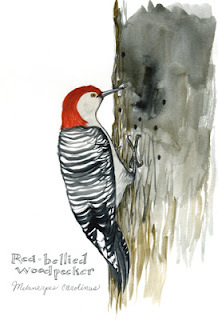 I prepared a juvenile that lacked the red helmet and did have a wee trace of an orange-ish wash near the belly, but certainly nothing to jusify 'red-bellied'. None the less, it's a spectacular woodpecker, and quite common in wooded areas in Chicagoland. I have seen Downy Woodpeckers and Flickers within Chicago proper, but I have never seen one of these within the city. When I'm out in the preserves,though, and esp. ones with older trees, this is usually the first woodpecker I hear and spot. They have a loud, harsh 'quirrrrr' as their call, and a deep undulating flight pattern. It's interesting working on woodpeckers, and seeing how nature has accommodated a creature that gets its food by repeatedly ramming its head into trees. Their skulls are large, and as hard as granite. Their tongues, when retracted, go all the way behind the skull and up and over between the eyes; all the better to get the grubs! Eeew.